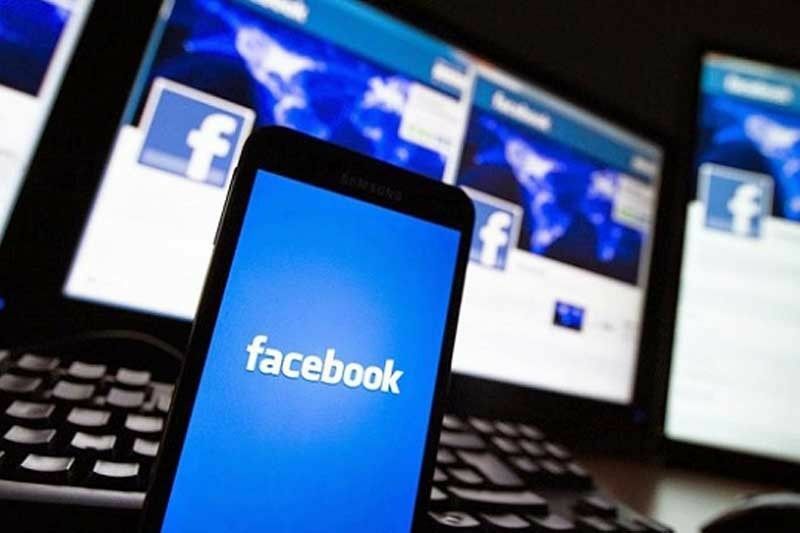 He dismissed Facebook’s explanation that the purge did not take into account the content of the posts but was due to prohibited acts such as the use of fake accounts. MANILA, Philippines – The recent takedown of a Philippine online network for malicious behavior was meant to weaken the support base of President Duterte, according to communication strategist Nic Gabunada. In a statement sent to “The Chiefs” on Cignal TV’s One News yesterday, Gabunada, who was accused of being behind the network, alleged that he was singled out due to his ties with Duterte, whom he supported in the 2016 elections. Gabunada noted that opposition pages were not affected by the takedown, insinuating that the removal was meant to influence chances of pro-administration candidates in the upcoming elections. “I have a feeling that I was singled out whereas the anti-Duterte and opposition pages were not,” Gabunada said. “I suspect that they pulled down pages and groups associated with the President and the candidates of the President because they thought it would weaken the support base and also diminish the chances of pro-admin candidates,” he added. Facebook has yet to comment on Gabunada’s allegations. In a press briefing last week, however, the company’s head of cybersecurity Nathaniel Gleicher stressed that the takedown was due to the behavior and not the content of the posts. “The core hook here is that these groups are using fake accounts. In this context, it’s not just the use of fake accounts; it’s the use of fake accounts in an organized fashion along with groups and pages and other assets to mislead people about the origin of the content they are sharing,” he said. “Not all of those are fake. One of the things we see in a cluster like this is a mixture of fake and authentic accounts. That could be intentional because it lends more credence to the fake accounts,” he added. “What we saw is this cluster of these pages, groups and accounts – a combination of authentic and fake accounts – that were basically being used to drive messaging on behalf of and related to political candidates. They were designed to look independent, but in fact they are working together,” Gleicher said. “They would post about local and political news, they will post about the upcoming elections, candidate views. A lot of the messaging were supporting candidates they were working in behalf of, some would be attacking political opponents of those candidates,” he added. Gabunada maintained that he was not associated with most of the pages taken down by the social media company. Saying he would not be surprised if Facebook “snooped” on his private messages, he said his name is in a lot of pages and groups as this was added without approval since the 2016 presidential campaign. “I am also participating in several FB chat groups and in these groups, I share with people my personal views, thoughts and comments on issues affecting our country. And I also encourage them not only to continue supporting the President and his administration but also encourage others to do so,” Gabunada said. “After all, it is the nature of social media to encourage sharing of opinions and messages,” he added. The takedown involved 68 Facebook accounts, 67 pages, 40 groups and 25 Instagram accounts found to be involved in political messaging using prohibited behavior, including the use of fake accounts. Gleicher said the network activity may be related to the upcoming elections, noting the political nature of the posts. “We don’t necessarily analyze the content in this context, but the primary role we see that this network is doing is working on behalf of political candidates. So, of course, this is going to be related to the upcoming elections,” he said. “What we have seen interestingly is that the tactics and techniques that one uses to drive a commercial message can actually be very similar to the tactics and techniques used on a political content,” he added. While the takedown was not due to the content of the posts, Facebook still tapped a third-party organization to analyze the data. The report, released by United States-based data analytics organization Graphika, said most of the pages removed by Facebook on Friday were primarily engaged in spreading content supportive of Duterte and some of his allies running in the upcoming polls. Most of the accounts were Duterte fan pages, while some were dedicated to other politicians, including presidential daughter and Davao City Mayor Sara Duterte, former senator Ferdinand Marcos Jr. and senatorial candidates Imee Marcos, Ronald dela Rosa and Bong Go. While there are a handful of critical posts, most were primarily engaged with promoting content favorable to the President. “This includes celebrating his policies and diplomatic missions, supporting politicians that have been publicly endorsed by the President, and presenting his personal life in a positive light. These support pages also frequently reposted general political news about events in the Philippines, with a particular emphasis on the President’s response,” the report read. “A large volume of content also promoted the actions of the Philippine National Police; other articles glorified Duterte’s actions related to the war on drugs. This content was frequently mixed with content produced by political bloggers and Filipino pop culture videos,” it added. Meanwhile, Duterte had nothing to do with the pro-government accounts taken down by Facebook, Malacañang said yesterday, as it claimed that the masses, not social media, made the President’s electoral victory possible. Presidential spokesman Salvador Panelo said Duterte was not behind the banned online pages and claimed that most of the masses who voted for Duterte do not have social media accounts. “I don’t think the President has anything to do with those Facebook accounts, which were initiated during the campaign or even during the assumption of his presidency. He doesn’t know anything about it,” Panelo said in a press briefing. “Both sides were very active during the campaign. So it’s still the people who decided, and most of them are not with social media. The overwhelming majority that voted him into office, I don’t think they have Facebook accounts and whatever. These are the masses,” he added. Panelo could not say whether Duterte’s presidential bid had benefited from the social media accounts, noting that even his rivals were active in online exchanges. “To my mind, what is important is an overwhelming mass of our people voted him into office and majority of them are not into social media. And the campaign promises of the President as a candidate resonated with them that is why they elected him into office,” he added.